Tuscan Grapevine is updating its section on what's on in and around Lucca. The "Art & Culture" section provides all the necessary information for the coming months. Our partner Tuscan Talent is also part of the experience. 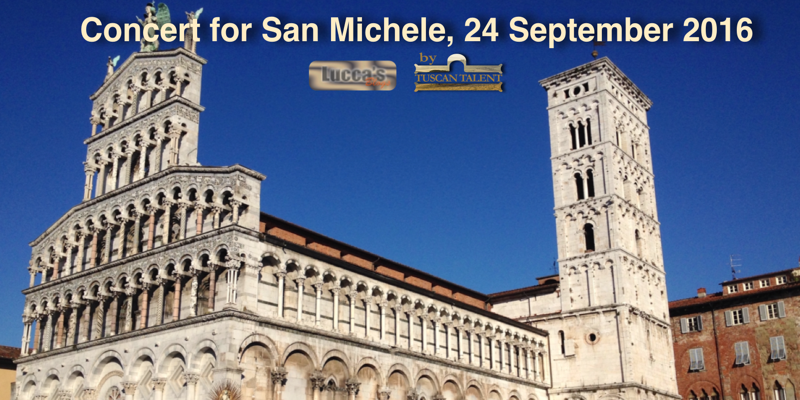 As the general public, made up of tourists, locals and visitors poured into the beautiful Romanesque church of San Michele, the place was soon heaving and most seats occupied, even those in the confessionals, much to the amusement of those sitting nearby! Many however were left standing, but instead of the usual wondering in and out – after all, this was a free concert – the majority remained for the whole of what was at times, a sublime performance, conducted by the charismatic Egisto Matteucci. 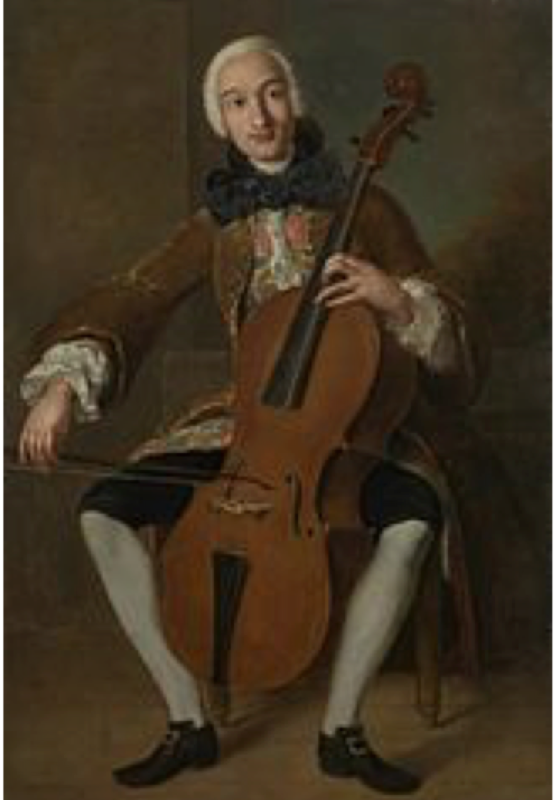 The concert began with two choral works by Boccherini, who although born in Lucca, travelled to Spain and wrote much of his output in Madrid. A talented ‘cellist and prolific composer, he became known mostly for his chamber music, in particular the elegant and celebrated minuet from his string quintet in E. In comparison he wrote few liturgical works and performances are rare so it was a treat to hear two of them given an airing here in his birth place by the city choir, the Polifonica Lucchese and accompanied by the Luigi Boccherini Chamber Orchestra with four soloists, soprano Mirella Di Vita, contralto Sara Bacchelli, tenor Marco Mustaro and bass Francesco Facini. Boccherini has often been compared to his contemporary composer and the father of the symphony and string quartet, Joseph Haydn. Both along with Mozart wrote in the classical style of the period, the style galant where simplicity of structure, form and texture, beauty of melodic line and a light elegance were emphasized. 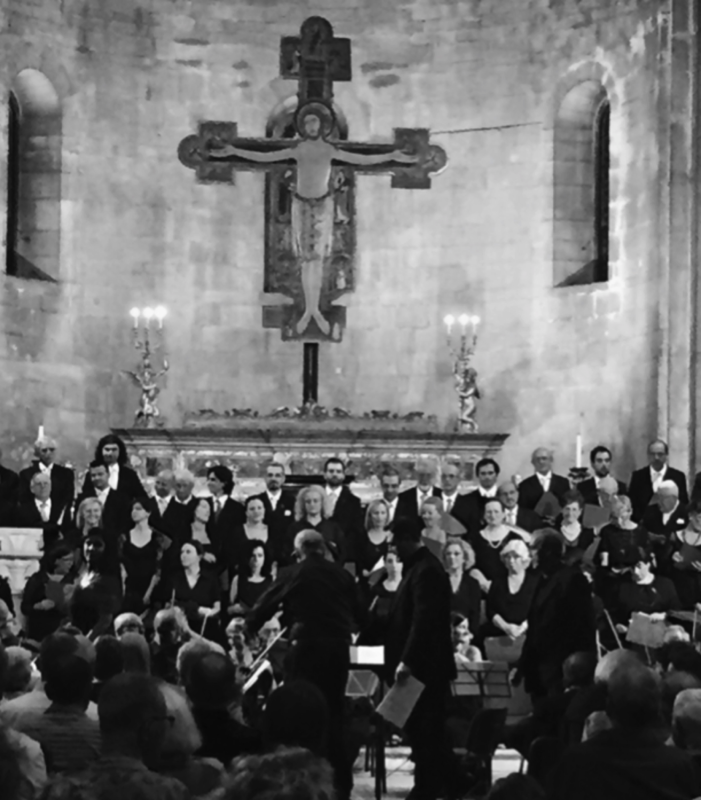 The opening work, Boccherini’s Domine ad Adiuvandum G534 with libretto based on psalm 70 began with a solemn plainchant, the atmosphere heightened by the wonderful backdrop of the Apse with the 12th century Byzantine – like painted crucifix. After a short instrumental interlude, the rest of the one movement work followed a simple ternary structure, with the choir singing a lively and joyful A section. In the contrasting melancholic middle part we were introduced to the glorious tenor voice of Marco Mustaro, which rang out around an otherwise silent Basilica. He impressed not only with the beauty of his voice but also with his musicality, sense of phrasing and wonderful technique. The more substantial Boccherini work, Dixit Dominus G533 with libretto based on psalm 110 is very operatic in style and the soprano aria with violin obligato, Gloria Patris was particularly impressive with some exciting vocal acrobatics performed beautifully and seemingly effortlessly by Mirella Di Vita. The work ended with a joyous tutti celebration of the liturgy and brought rapturous applause from the audience. It is interesting to note that these early works written between the years 1764 – 1766 for Lucca’s festa of Santa Croce could well have been commissioned by Giacomo Puccini Senior, who’s son Antonio was responsible for organizing the music for this occasion. The final item in this ambitious programme, Mozart’s Vespers, K 339 was written in 1780 for the cathedral of Salzburg and is one of two settings he made of this service. It follows the standard Catholic liturgy, which consists of the Magnificat, and the five psalms used during the Vespers service. This work is a masterpiece, written just before his Vienna period and foreshadows his unfinished religious choral works of that time, the Mass in C Minor and the Requiem. Mozart's conservative employer, Archbishop Colloredo requested that each Psalm was to be set as a continuous movement, as opposed to being divided into separate arias, ensembles, and choruses in the operatic style, popular in church music at that time. The work contains bright and brilliant Allegros, while the Laudate pueri is an exercise in strict, Baroque polyphony, an impressive nod to Austrian liturgical counterpoint as practised by early eighteenth century composers. Mozart’s genius showed throughout, particularly in the Beatus Vir (Psalm 112) where the choir interacted with all four soloists, reminiscent of Mozart’s later operatic prowess. The well-known Laudate Dominum written for solo soprano and chorus provided a stark contrast with its simple accompaniment and the radiant beauty of its melodic line. This movement, which is often performed separately as a concert piece is not at all easy and can provide a challenge for the soloist. However, Mirella Di Vita’s performance was exquisite and the gentle, seamless entry of the choir half way through was quite magical and added to the spiritual sense of peace and tranquility. Finally, maestro Matteucci led us through a dazzling and energetic magnificat where all performers, soloists, choir and orchestra came into their own, ending what was a very enjoyable and inspiring event. Written for Tuscan Grapevine by Paula Chesterman.